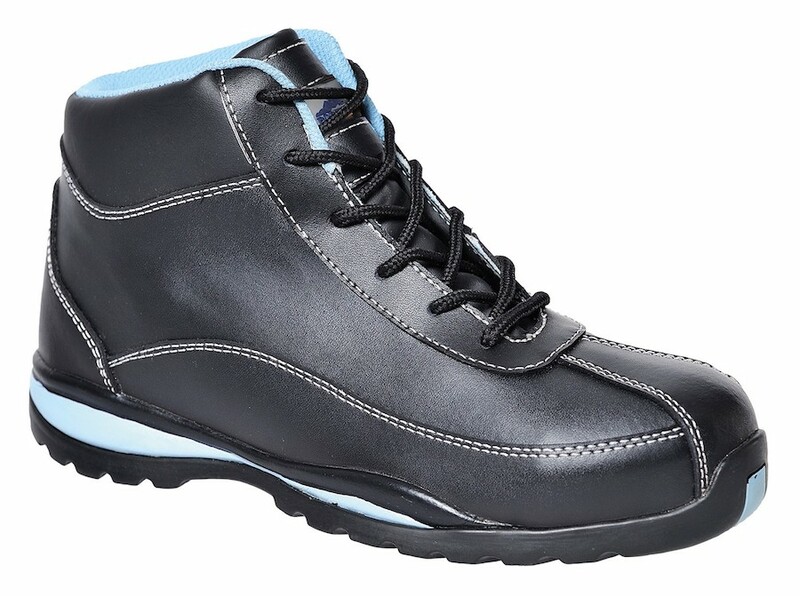 The Portwest FW38 is the boot version of the popular Portwest FW39 Steelite Ladies Safety Trainer. This style allows you to work confidently in any working environment without sacrificing comfort. Steel toecap and midsole with 300 Degrees heat resistant and oil resistant outsole prevent slips and trips.